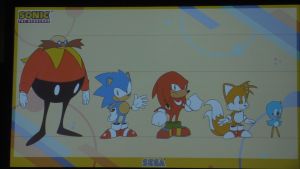 SEGA and the Sonic Team at SXSW have officially announced that Sonic Mania will be receiving a physical release as ! 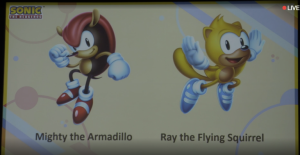 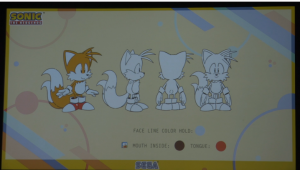 To sweeten the deal, the game will include new content including two playable characters: Mighty and Ray! 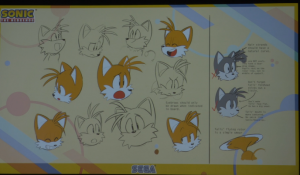 Other modes include “Encore Mode” and 4P competition mode. 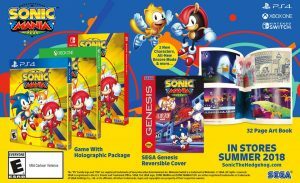 The game will release with an exclusive holographic slipcover, a SEGA Genesis/Mega Drive branded sleeve and a 32 page art book.The packaged version will be $29.99 and the new content will be free to download for digital owners. 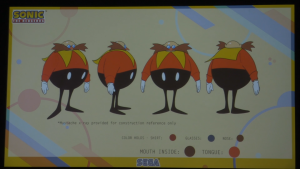 The game is due out Summer 2018. 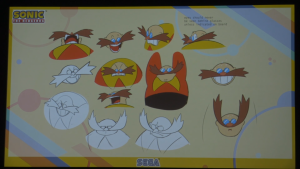 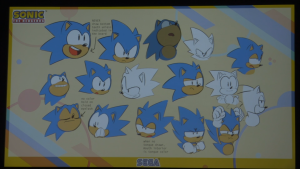 SEGA and Sonic Team have also announced a 5 episode mini-series adaptation of Sonic Mania called Sonic Mania Adventures helmed by Tyson Hesse to be released in the near future, with a sneak preview.